Our suggested travel route is based on what we consider are the region’s nature highlights. We call our concept “Best of Norway”. This travel route is an eight-day self-driving tour that will take you from Trondheim to Oppdal, out to the coast and Kristiansund before heading south over the famous Trollstigen road to Geiranger and then on to Bergen. This journey features experiences for nature enthusiasts. Our suggested travel route is based on short daily driving distances, but you need to enjoy being on the move to explore the places you visit. We have proposed accommodation in hotels or budget/camping. Price budget: from NOK 7171 per person in double room. Price Hotel: from NOK 7497,50 per person in double room. Season: 10.juni - 20.august 2017. This trip starts in Trondheim on arrival. AVIS/Budget has depots at Trondheim Airport Værnes and in downtown Trondheim. Head out of Trondheim and drive to Oppdal, from the coast to the inland, from the mountains to the fjords. Oppdal is created for recreation, surrounded by three national parks with a rich birdlife, mountain landscape and all sorts of weather. 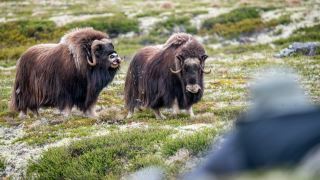 Dovrefjell National Park is the only place in Norway and one of only a few in the world where you can experience the musk ox. This trip includes a guided musk ox safari so you can get a glimpse of the impressive animal at close range. This year’s new attraction in Oppdal is the artisan bakery "Bakeriet Sprø og Smak og behag", which serves the famous kanelsnurrer (cinnamon rolls). After a day in the mountains, you continue your journey west towards the coast. Drive westwards to Sunndalsøra. Turn left towards Molde about 1 km after Sunndalsøra and head up the “Litjdalen” valley to Aursjøen. 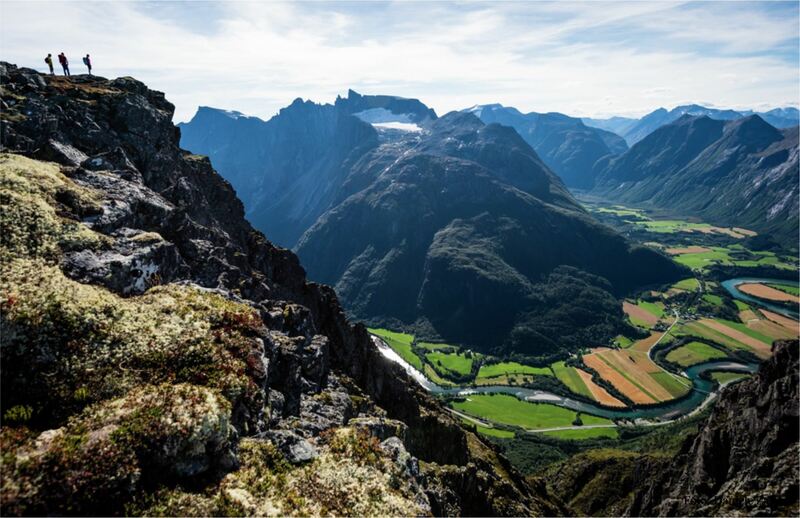 Take a coffee break at Aursjøhytta before continuing through the famous Eikesdalen valley. 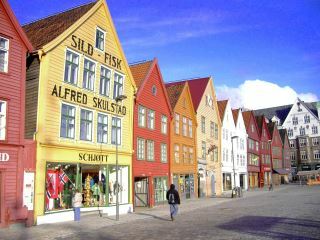 When you arrive in Kristiansund, we recommend eating the famous fish and chips at the express boat quay. After a good breakfast, you will head north to Smøla - a bird paradise. Smøla is an island that offers many nature-based experiences, and the eagle safari is one of the island’s main attractions. Smøla Naturopplevelser offers this and other activities. After adventures at sea, your journey continues via the National Tourist Route the Atlantic Road. This wild and beautiful natural gem was ranked first on the British newspaper The Guardian’s list of the world’s best road trips, according to VisitNorway.com. 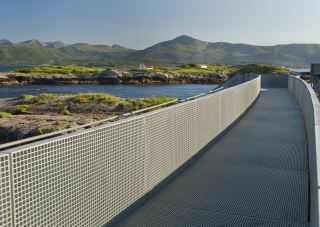 Not travelling along the coast and experiencing the Atlantic Road is therefore unthinkable. Plan a stop at the Bremsneshola Cave, Norway’s largest cave, which extends 80 m into the mountain. 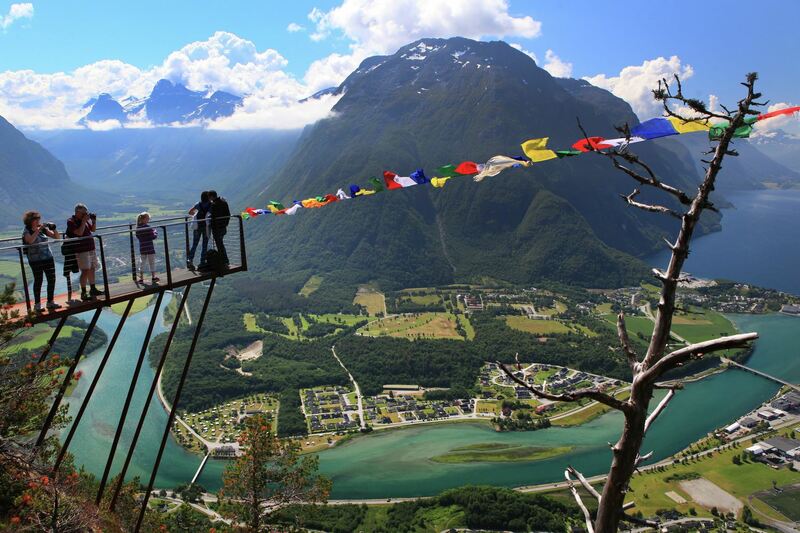 After a wonderful staying on Smøla, you will end the day in Åndalsnes. This is a beautiful place surrounded by high mountain peaks. 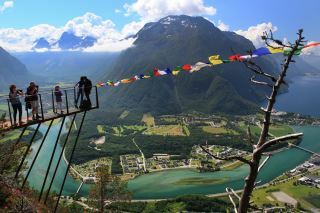 It’s only a short distance from Åndalsnes to Geiranger. 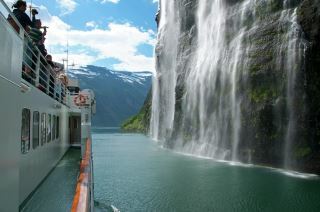 On arrival in Geiranger, you can choose sightseeing boat to explore the fjord from the water. If you are fit, you can go to explore by kayak, which is a nature-based experience you won’t forget! Make sure you visit Dalsnibba to enjoy the view. From here, your journey continues south to Førde and the Scandic Sunnfjord Hotel where you stay overnight. It’s only a short drive from here to Bergen, where you have the option of spending additional nights after the program is finished. Arrival Trondhiem - your VW Caddy will be ready for you. Enjoy the day in Trondheim! 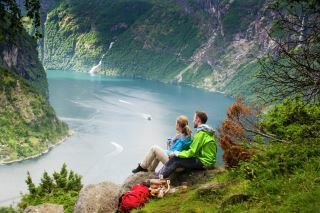 Drive the dramatic Trollstigen, and visit the famous Geiranger!